After nearly of four years of collaboration the MOEEBIUS project will soon finalise its activities: the results should be ready to share in April. 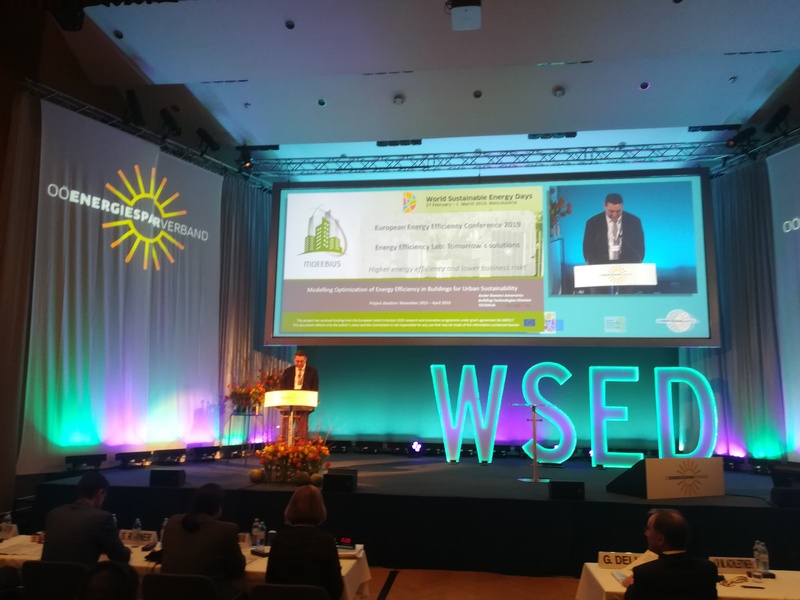 But meanwhile the best opportunity to review project's achievements was MOEEBIUS final conference organized on 28th of February 2019 in Wels, Austria, as a part of World Sustainable Energy Days 2019. MOEEBIUS celebrates project's final conference, says BUILD UP, ECCA and ECTP portal. 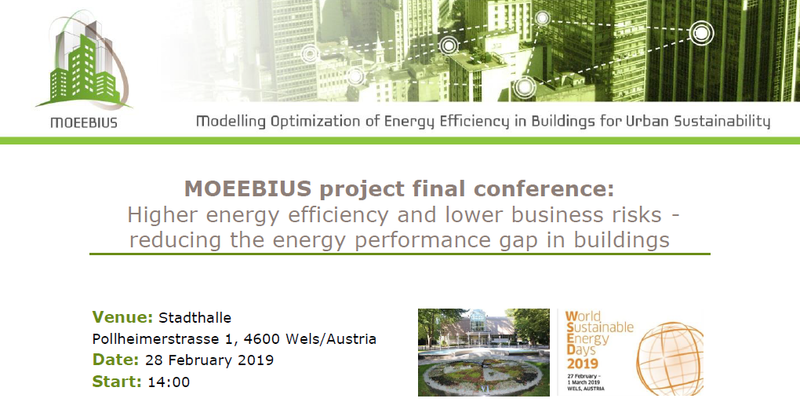 We are happy to announce that significant portals in the area of green behaviour in building sector - BUILD UP, ECCA and ECTP - published articles of MOEEBIUS final conference which will be held in next ten days: on 28th of February, in Wels (Austria), in the context of World Sustainable Energy Days 2019. 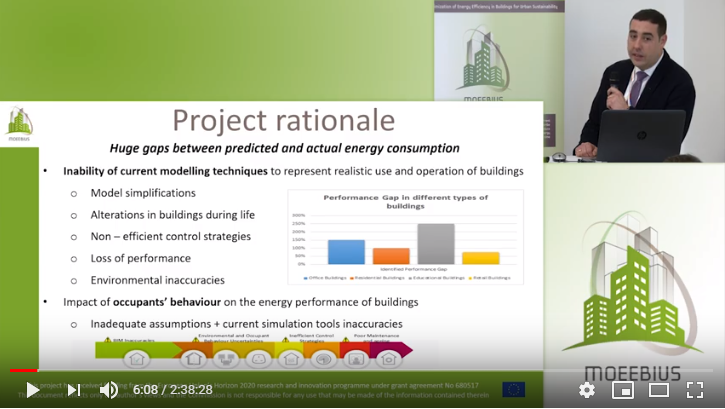 The workshop "Energy modelling in buildings" proved to be success! 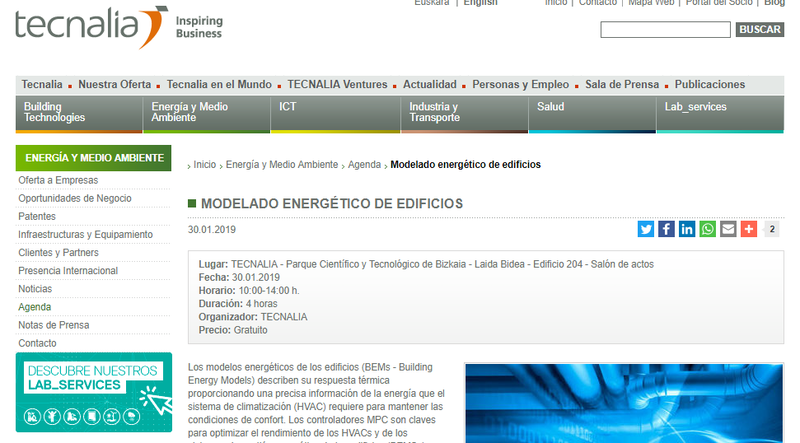 Around 25 people participated in the workshop on a Building Energy Modelling organized by Tecnalia - MOEEBIUS coordinating Partner - in Zamudio, Spain, on 30th of January. 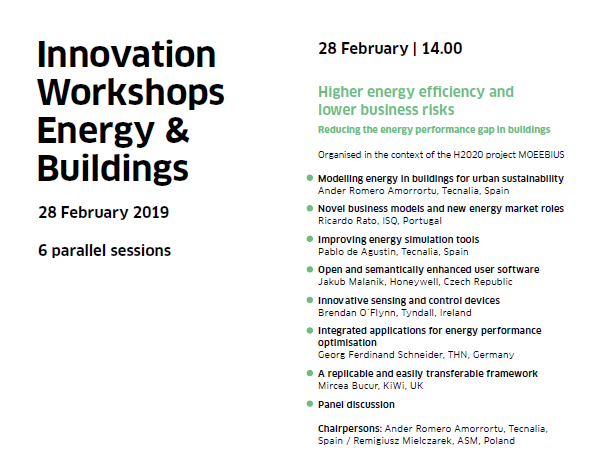 The event was organized along with other H2020 project FHP where experts from TECNALIA and HONEYWELL, also MOEEBIUS Partner, are involved. 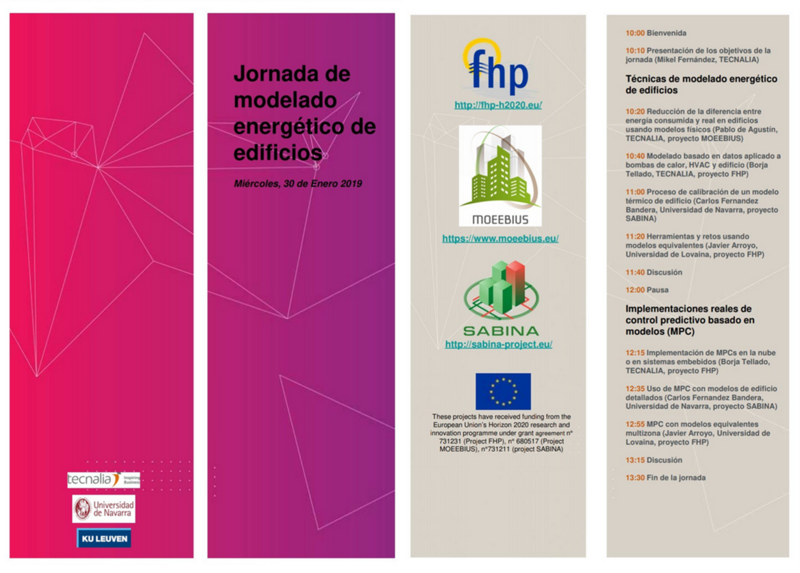 In this workshop the modelling techniques and potential application of three H2020 EC funded projects (MOEEBIUS and FHP, coordinated by Tecnalia, and SABINA as guest project) were presented. All attendants: ESCOs, architecture firms, construction cluster, HVAC manufacturers, engineering companies, students e.t.c. expressed real interest in presented subject matter. They were very active during all the sessions, making interesting questions and participating in the technical discussions. MOEEBIUS Newsletter # 6 released! We are happy to see you in Wels!! !